This trail begins at the regional road – 101, by the Ribeira da Cruz stream which separates the municipalities of Porto Moniz and Calheta. From the road, climb a footpath to reach the levada. If you walk a short distance in the opposite direction to the ﬂow of the water, you can visit one of the springs that feed this levada. To carry on to Junqueira, you will have to turn round and go in the direction in which the water ﬂows. 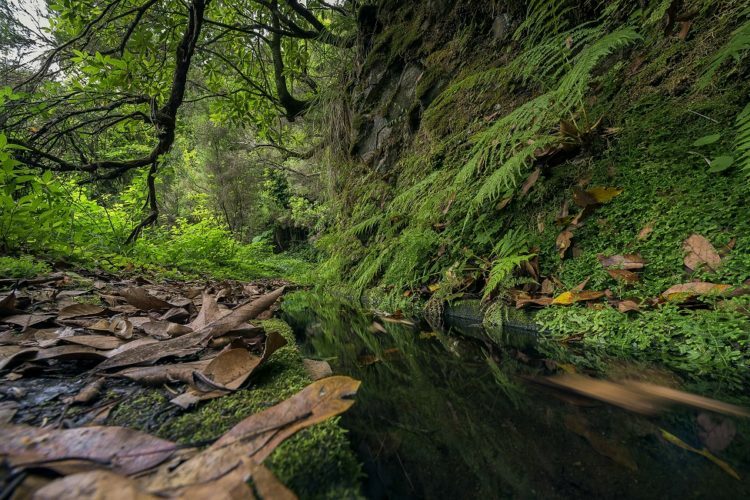 Be aware that you will fnd a number of branches leading off the levada to take water to irrigation tanks. Levada Grande is also known as Levada do Moinho (Mill Levada), because along its route there used to be several water mills. The ruins of three of these mills can still be seen (Achadas, Cancelas and Levada Grande). Recommendations: Take warm clothing, non-slip footwear and water.